When I asked my wife what I should draw today, she replied simply "shoes." I can't really draw shoes. 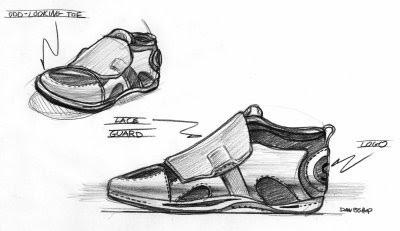 It is a specialty in the design world and there is a reason why I am not a shoe designer. I don't really know what kind of shoe this is, I just know I need to keep practicing. I will try and do more and if I am able to improve, I may actually post another shoe... or maybe not.